Jawa could eat into sales of Royal Enfield 350. First two motorcycles are Jawa and Jawa 42. In the words of Anand Mahindra, Chairman of Mahindra Group, a legend has been resurrected with the launch of Jawa motorcycles in India. It’s the first major milestone for Classic Legends Pvt. Ltd., which has been specially created by Mahindra to re-introduce iconic motorcycle brands in the market. It’s also a great moment for Jawa fans, who had always wanted to relive their cherished memories of riding their favourite motorcycle on wide open roads. 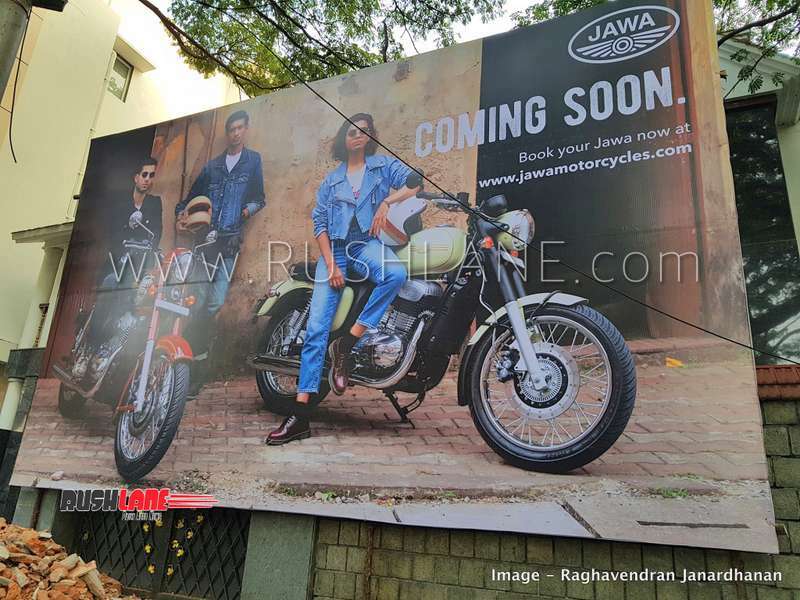 Jawa dealership poster in Chennai. Image – Raghavendran Janardhanan / Jawa Owners Forum on Facebook. Speaking about dealerships, Jawa is planning on opening their dealerships adjacent to Royal Enfield dealerships. This will allow Jawa to get up close with their target audience. It will also help buyers to understand / compare Jawa and RE easily. The first such dealership poster is now up in Chennai. The first dealerships will open in Mumbai, Pune, Delhi, Hyderabad. These will open by December end. The second batch of dealers will come in Bangalore, Chennai, Kolkata. These will open by Jan end. There is no doubt that the Jawa is a rival to Royal Enfield Classic 350, which is also the best selling motorcycle of RE. Not only Jawa dealerships will be adjacent or near Royal Enfield dealerships, they will also feature retro design. A model dealership was showcased at the launch event. Three motorcycles have been shown – Jawa, Jawa 42, Jawa Perak. The first two are launched, while the third will be launched by June 2019. Bookings are being accepted online, by paying Rs 5,000. Both Jawa and Jawa forty two are powered by a 293cc liquid cooled, single cylinder, DOHC engine that delivers 27 bhp power and 28 Nm torque. Engine is mated to a constant mesh 6-speed gearbox. It will be interesting to see how the battle between Jawa and Royal Enfield motorcycles unfold. Bajaj has tried to take on RE, previously with the Avenger, and recently with the Dominar. But did not manage to eat into the sales of Royal Enfield. 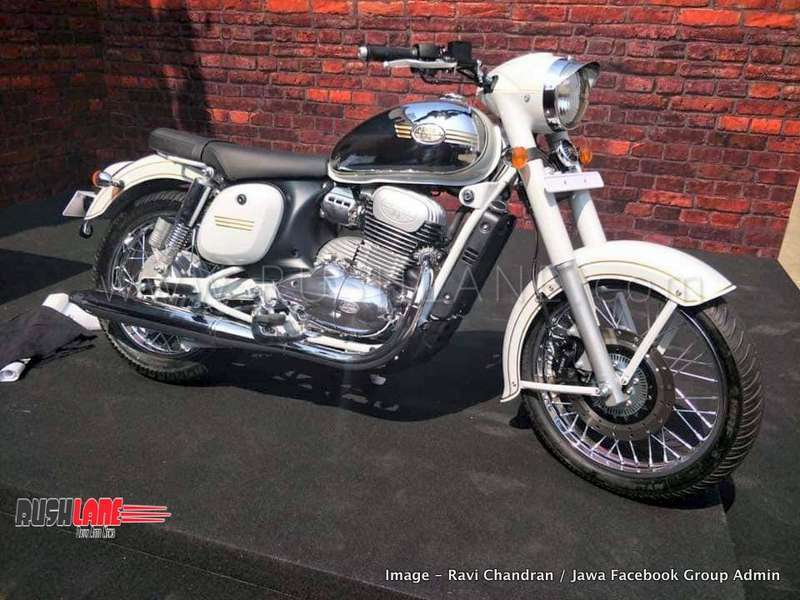 Will Jawa manage to eat into Royal Enfield market share? The answer will only be answered with time.